Juan Grimm is arguably the most significant landscape designer working in South America today. 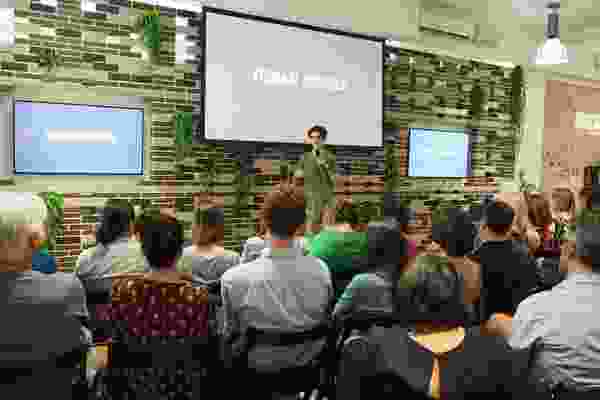 Quite a number of us came to know of his career through his lectures in Melbourne and subsequent garden tours to Chile. This new volume on Grimm’s work, edited by Claudia Pertuzé, has long been anticipated. Bounded by the Pacific Ocean and the Andes mountain range, Chile is sometimes referred to as the “thin country.” At 4,270 kilometres long, its average width is 177 kilometres and it contains enormously diverse landscapes, from the Atacama Desert in the north, past the capital Santiago – on the same latitude as Sydney and Buenos Aires – down to the lake district and finally Patagonia, wind-blasted by the roaring forties. The sea and the great mountain chain of the Andes are ever-present; the latter has snow-capped peaks, active volcanoes and, in the far south, vast glaciers. Tierra del Fuego is as close as any other continent gets to Antarctica. The flora of Chile is little known in Australia and includes many fine evergreen trees and shrubs. The national tree of Chile is the Araucaria araucana or monkey puzzle tree – very distinctive in its profile – which is sometimes found in association with Nothofagus trees, most typically Antarctic beech. With shared origins in the distant past of Gondwanaland, their plant “cousins” are found in Australia. From his youth, Grimm appreciated the fundamental character of the Chilean seaside and visits to old country places with mature trees. Trained as an architect, he set up his own office in 1982, aged thirty, always with an emphasis on landscape design. Since 1990 Chile has enjoyed general economic prosperity and social stability, enabling the creation of major new parks and gardens, and thus allowing Grimm’s career to flourish. The book elegantly summarizes Grimm’s landscape philosophy and his approach to garden design. Early chapters demonstrate his response to landscape through fine pencil drawings that define the space and texture of imaginary gardens and that show the lasting impression made by native landscapes, such as the Araucaria forests, rugged rocky coastline, and the rain bringing the desert into bloom. 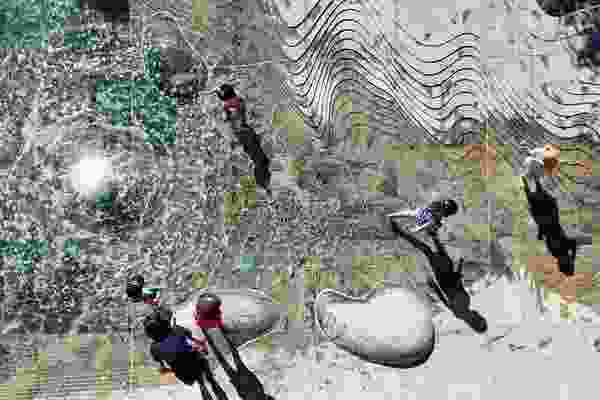 Google Earth proved a revelation revealing to Grimm landscape patterns and textures. In “Studies of Color and Form,” his “observational studies” provide brilliant renderings of the potential play of plant colours and textures. The structure of a garden is critical. Grimm outlines how sinuous or rectilinear geometries are determined and patterns placed on the ground. 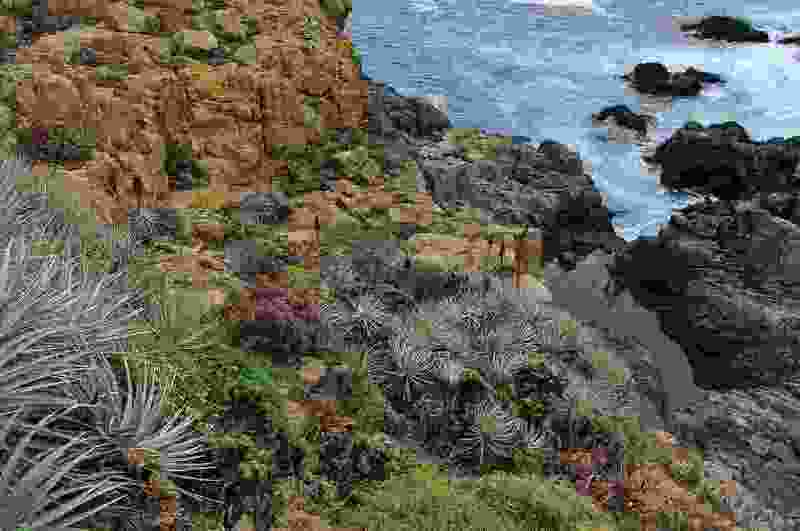 Different scales of vegetation create the spaces, which evolve over time, with Grimm revealing himself as an absolute master of shrub belts. While plans are important, plant installation must be carried out by eye on site to better reflect the nuances of the place. 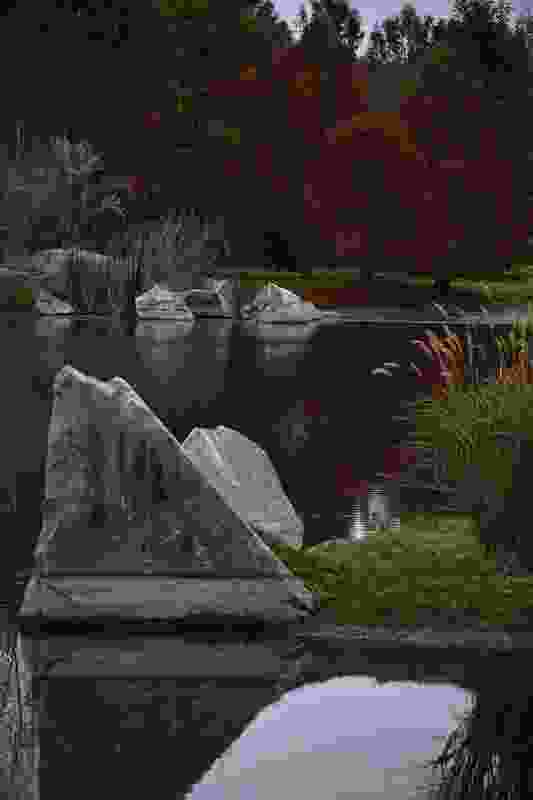 Ideally, the broader visual context will be linked with the garden, gaining the borrowed landscape of distant lakes and hills. Grimm believes in responsible ecology. “I have seen how some of the most beautiful landscapes in Chile have been destroyed.” Preserving natural settings, using drought-hardy plants, minimizing chemicals and irrigation and recycling greywater are features of his more recent projects. 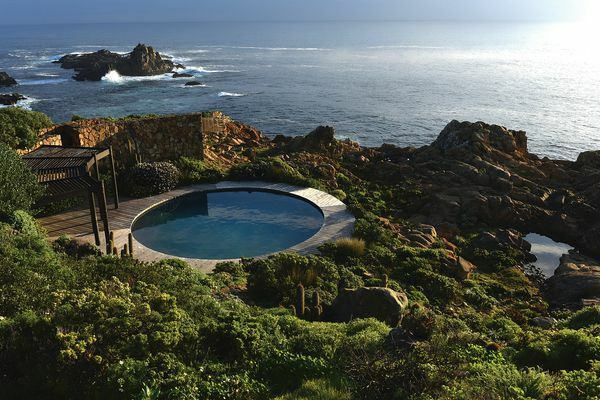 Facing the vast expanse of the Pacific Ocean, his Chiloé and Bahia Azul Gardens both reveal thoughtful planted responses to extreme ocean-front locales. 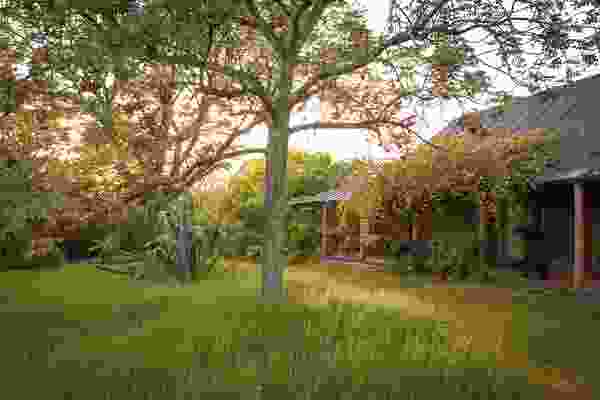 Large country estates he has worked on, such as those at El Roble, Barros and Allende Parks, are characterized by foreground lakes and dense forest backdrops. Stepped terraces and stepped ponds modulate sloping sites, with occasional strong colour accents such as jacarandas or a silk floss tree. The large suburban Amadori Garden in Santiago shows how a hard-paved forecourt can be humanized through hedges and tree canopies, with subtle level changes and a sculptural stone water garden providing visual interest to a flat site. 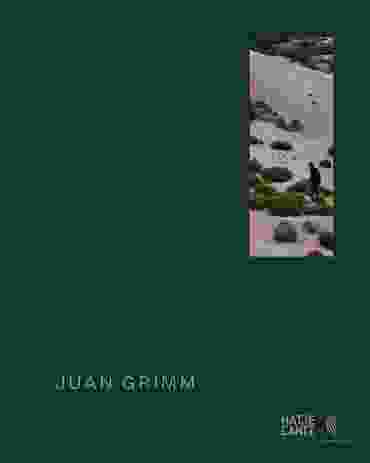 Juan Grimm’s maxims are well conveyed in his own words: “… the garden takes shape in stages: first the groundcover will be centre stage, then the shrubs, and finally the trees, which will endure. The undergrowth, meanwhile, will keep changing, surfacing throughout the different phases. This handsome volume provides a rare insight into highly professional gardening in this profoundly beautiful continent. It is greatly enriched by several thoughtful essays and the impressive yet sensitive – one might say delicate – photography of Renzo Delpino. It is a fine book, attractive and useful. Juan Grimm. Editor: Claudia Pertuzé – Ediciones Puro Chile, Vitacura Santiago, and Hatje Cantz Verlag, Berlin, 2017, ISBN 9783775743891, 304 pages, RRP AUD $110.00. 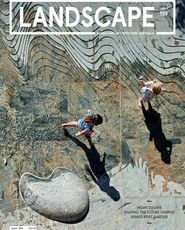 $90.00 from the Australian Landscape Conference. 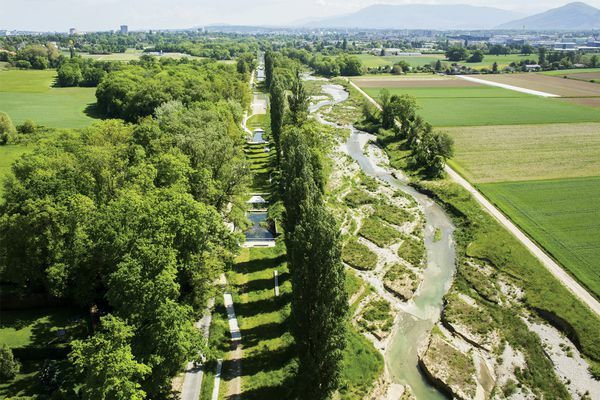 A recent book on the transformation of the Aire River in Switzerland by Swiss studio Superpositions offers layered perspectives on the river’s transformation. A new book by Australian garden writer Christine Reid explores hardy gardens in some of the country’s most challenging landscapes.